Generic image. 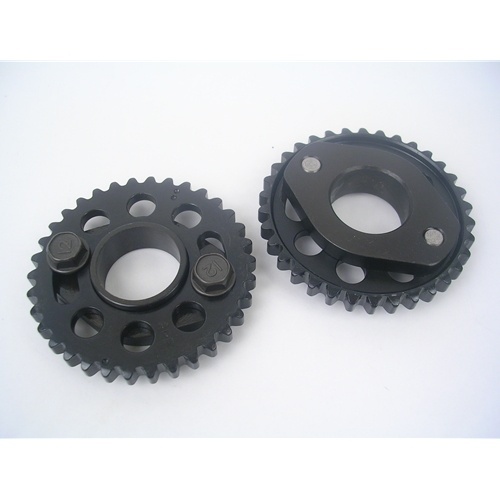 Set consists of 2 sprockets with adapters. Precision engineered and machined to provide exact adjustments. The key to tuning your machine's performance and unlocking every last horsepower. Please use caution and have these installed professionally to avoid damage to your engine!